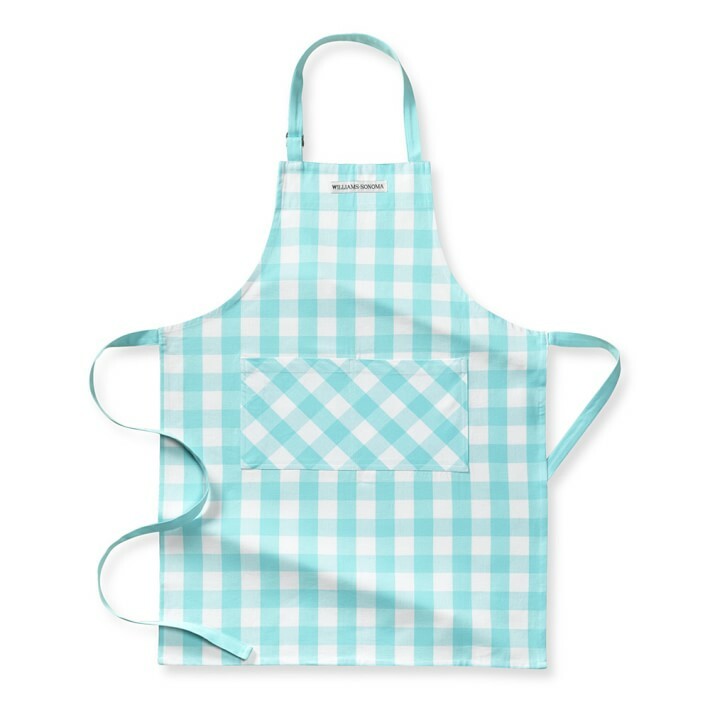 Spring’s vibrant mood inspired this cheery Williams Sonoma Checkered Apron, with its bold buffalo check in yarn-dyed ivory and robin’s-egg blue. Tailored from signature cotton twill, it offers generous coverage and great durability for a busy season of cooking, baking and festive entertaining. $29.95. Buy here. 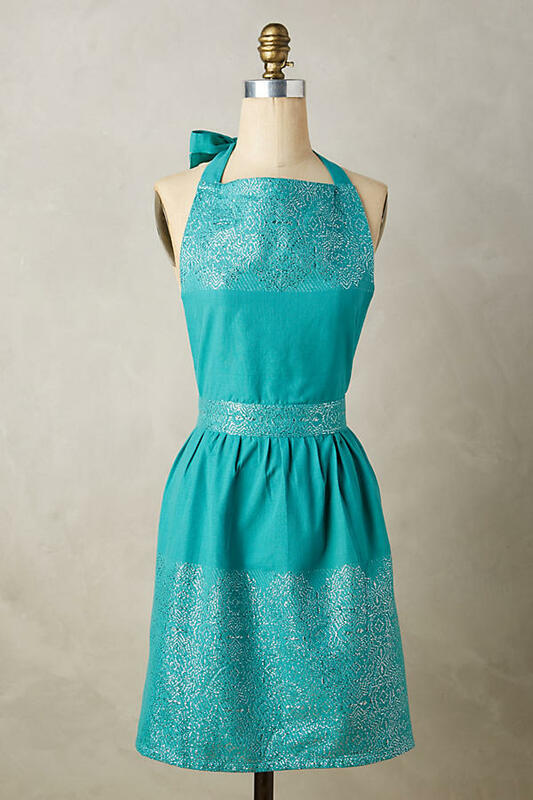 Put on a pretty frock and protect your clothes at the same time with this beautiful turquoise Annika Apron, made of cotton with metallic jacquard. $28. Buy here. 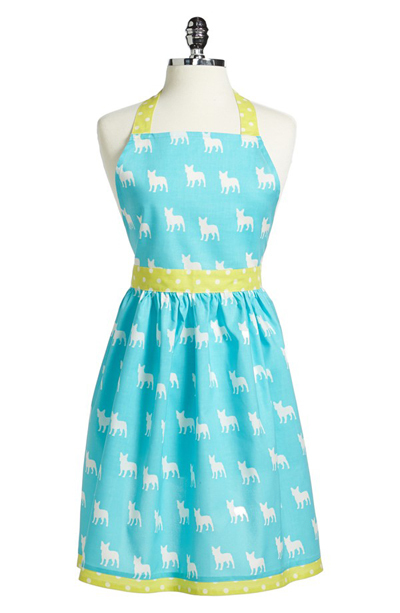 This quirkyÂ Llama Apron features a darling llama print in white, teal, and orange hues. 100% Cotton. Machine washable. $44.99. Buy here. 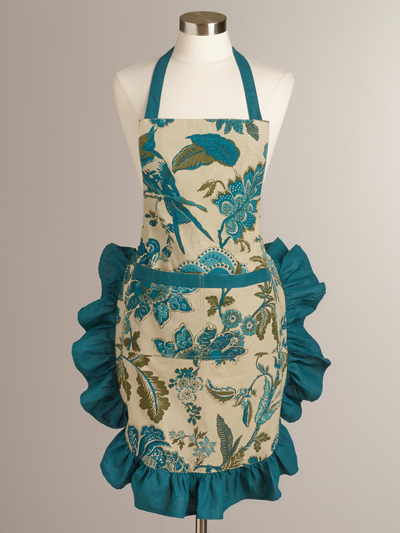 This beautiful Notions Apron adds a dash of something special to any chef’s prep. Designed by Artist Molly Hatch. (Matching kitchen towel available here.) $28. Buy here. 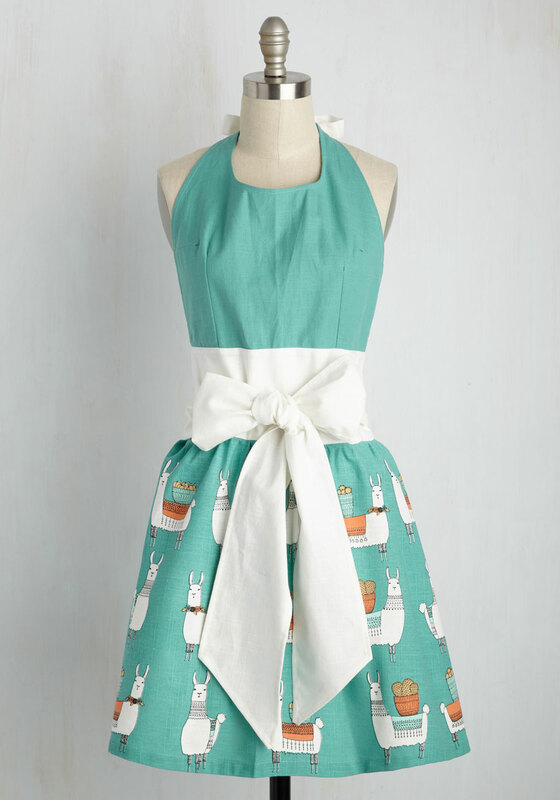 This cute, vintage-styleÂ Dog Print Cotton Apron from PJ Salvage is peppered with printed puppies and finished with cheery polka-dot trim. $36. Free shipping. Buy here. 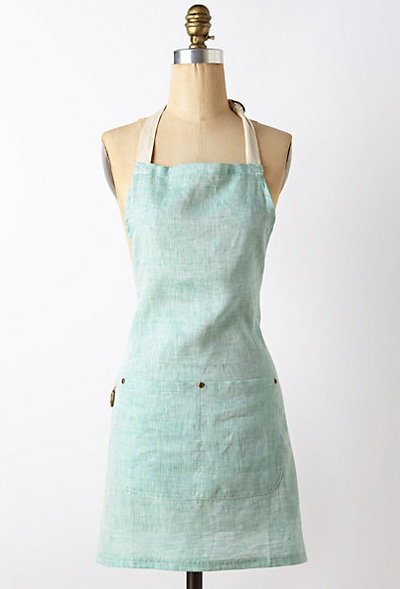 This Minty Chambray Apron is both fashionable and functional. Made in the USA of linen and cotton. $88. Buy here. 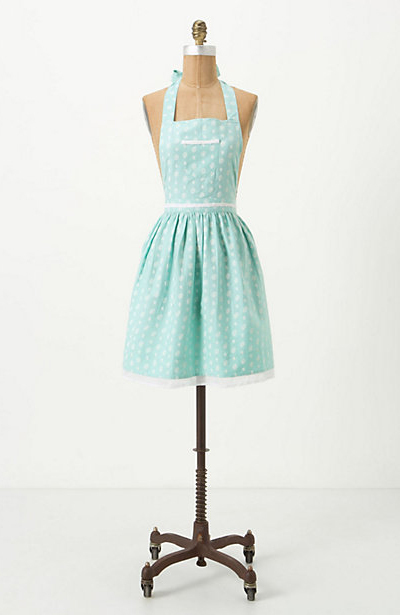 This adorable Sugar-Spots Apron will keep you looking cute while you cook. 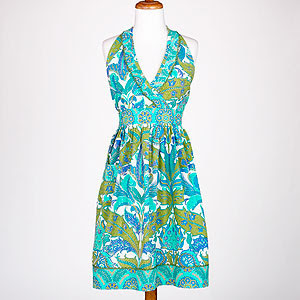 Made of cotton and features front pockets. $38. Buy here. 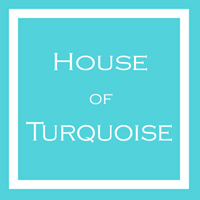 Stay in style while keeping busy in the kitchen with the Teal Kitchen Textile Collection. 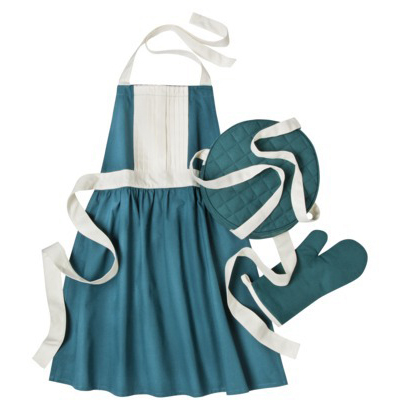 Collection includes apron, pie carrier and oven mitt. $5.99-$15.99. Buy here. 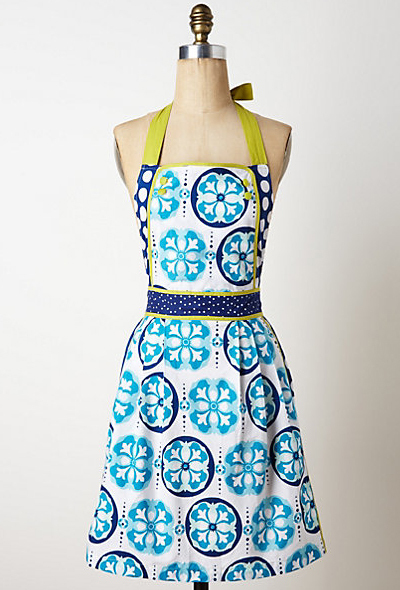 Cook things up in style with the vibrant and colorful Malorie Apron. Made of cotton. Makes the perfect hostess gift. $32. Buy here. 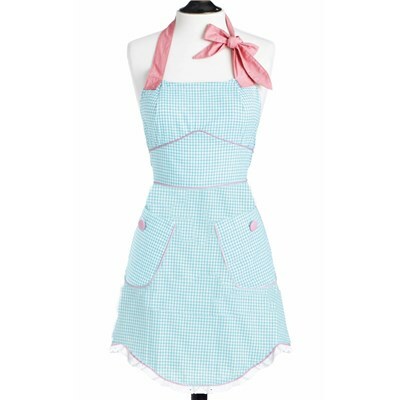 The vintage-inspiredÂ Jessie Steele Yarn-Dye Blue & White Gingham Sabrina Apron sweetens its simple design with white lace trim, two large pink button pockets and flattering bustline ruching. The feminine cut showcases its blue and white gingham pattern. Trimmed in light pink piping, this apron is perfect for the modern hostess with pink ties at the neck and waist. Made from 100% cotton. Machine washable. $34. Buy here. 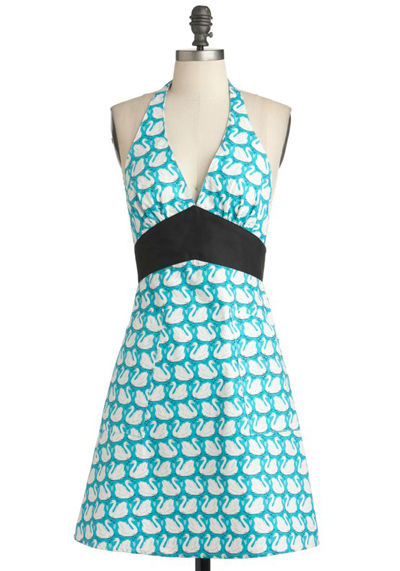 In fine feather, the Edie Rose by Rachel Bilson Peacock Apron layers glorious plumes, a beautiful bird and teal piping in pure cotton with a sweet, ruffled skirt. A must with Edie Rose by Rachel Bilson dinnerware and table linens. $34. Buy here. 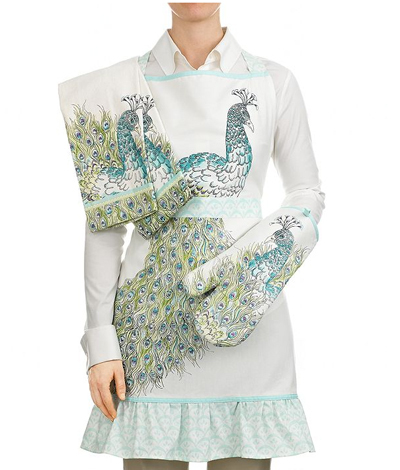 Quickly greet your dinner party guests wearing the pink-masked swans that sail across this sky-blue A Swan-derful Life Apron before getting your hands dirty again. 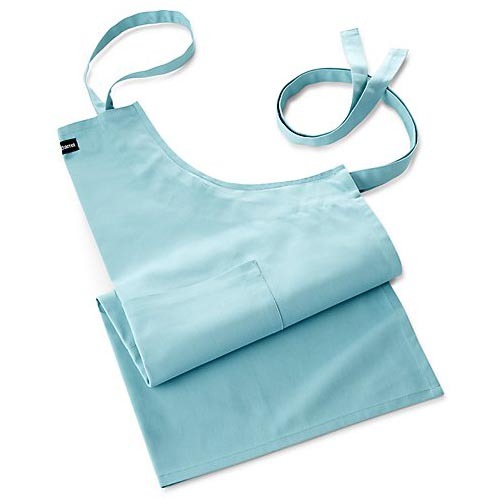 A haltered V-necklineâ€™s tie bows just above that of this coveringâ€™s black waistband – both adjusted to a perfectly snug fit – and two oversized pockets are an excellent place for that extra dish towel as well as the kitchen timer you always seem to misplace. $39.99. Buy here. 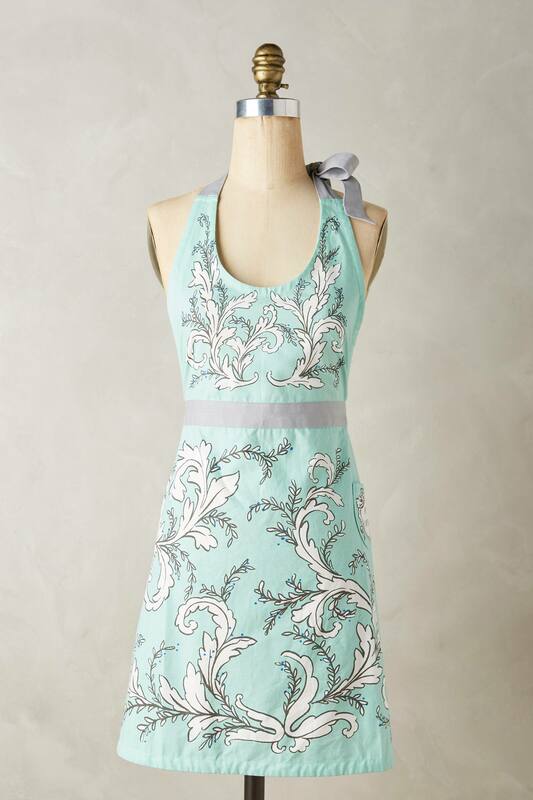 In India, the word panna means “emerald”, a befitting name for the Panna Apron Dress with its jeweled green hues and teal ric rac detail. 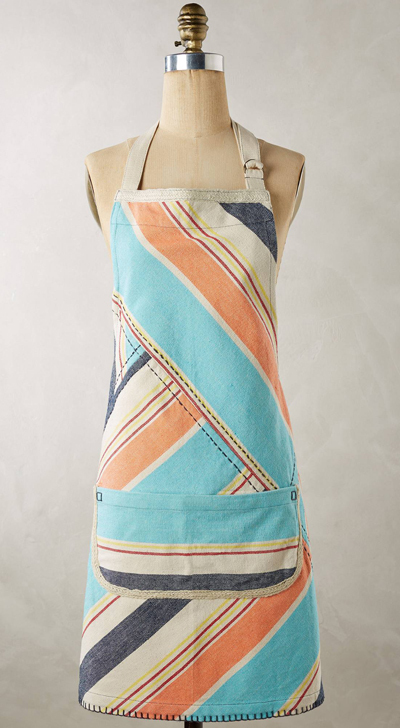 This eye-catching cotton apron brings a dose of feminine charm to the kitchen and also makes a lovely housewarming gift. $19.99. Buy here.